No matter if you have millions of dollars saved up for retirement or very little, many of us worry about our retirement years. There are keys to retirement success but nothing is simply black and white. Each one of us needs to assess our own situation, make changes along the way and be flexible when unexpected setbacks arise. For those with a financial advisor, it’s wrong to just step back and hope he or she is doing the right thing managing your investments. You have a lifetime of earnings and hopefully a large savings, it’s easy to get comfortable and expect a financially secure retirement, particularly if you believe you are working with a reliable, financial advisor. Well don’t be so sure. Bryan S. Slovon is both founder and CEO of Stuart Financial Group in Greenbelt, Maryland and he encourages each of us to take charge of our financial well being to ensure a financial retirement success. Slovon offers three key tips for financial wellness and hopes it leads to financial retirement success for us all. 1) Audit your current and future expenses; spell out your plan. If you don’t have a plan for your money then you’re just hoping for things to work out. You can do better than that, even though changes in your plan will likely occur at some point. The most basic aspect of a financial plan includes understanding your current budget, which could be compared to expenses expected in the future. The more technical side of things, such as how to save on taxes and make your money go further, would benefit from analysis by a truly independent financial advisor. 3) Focus on your taxes, and perhaps tax-favored investments. An important part of understanding your budget, and making it work better for you, is getting reliable professional analysis on your tax situation. You may be paying much more than is necessary. 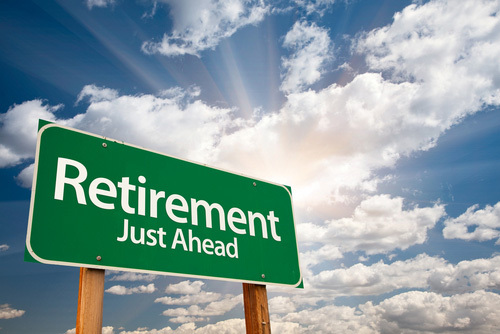 If you are expecting to retire in the near future, you may especially benefit from analysis of your tax budget. So as you can see, it’s ultimately each of us who needs to be our own best financial advocate. Although you may need a team of professionals such as a CPA, financial advisor, lawyer, etc…, don’t forget to stay involved all along the way. You know the saying, “You snooze, you lose.” Make sure that doesn’t apply to you and stay on the right path for your own personal well-being and financial retirement success. If you have questions or actively looking for a qualified financial advisor to help with your financial retirement plans, contact The Life of Luxury and we can refer you to a financial professional in your local area. If you like reading about financial topics, come back again to follow this luxury blog.